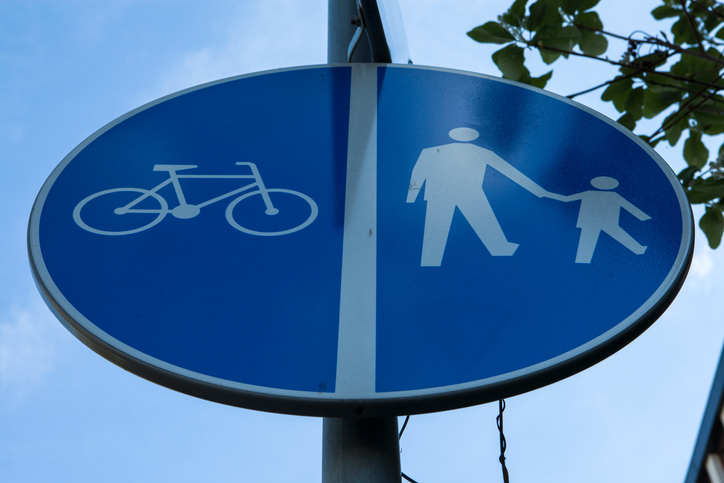 Knowsley Council has started work on a new shared footway and cycleway along Longview Lane and through King George V playing fields in Huyton. The new path will start at the junction with Liverpool Road, linking in with the existing path and travel along Longview Lane, then through King George V playing fields to Huyton Lane. View the route of the new footway and cycleway. When complete the new facility will increase the amount of sustainable travel routes in Knowsley and will give people more options for walking and cycling between Huyton and Prescot. Work started on Wednesday 31 January and should be completed in March 2018. To allow the works to be carried out safely, there will be a temporary one way restriction in place on part of Longview Lane for 3 weeks starting on Wednesday 14 February 2018. This improvement work has been funded through Liverpool’s City Region’s Sustainable Transport Enhancement Programme (STEP). STEP is a package of sustainable transport infrastructure measures that is vital to the Liverpool City Region Growth Plan and Strategic Economic Plan.